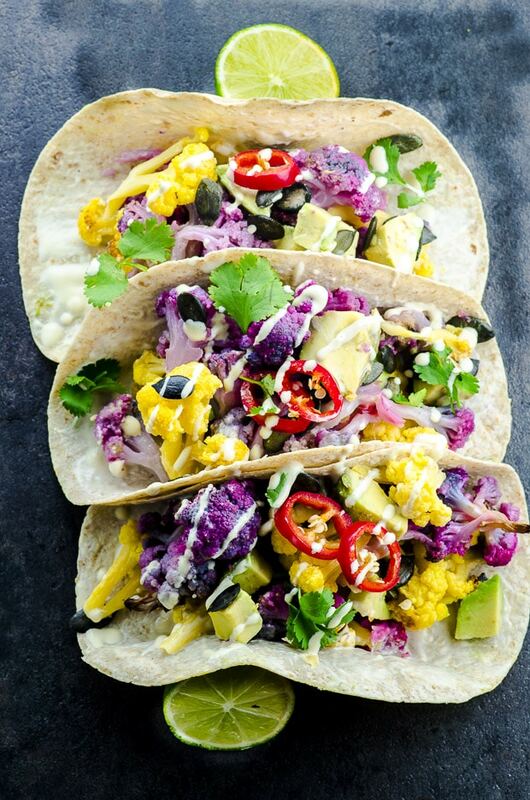 These healthy Roasted Yellow and Purple Cauliflower Tacos are good for you and absolutely stunning. Like a bright rainbow on a plate! 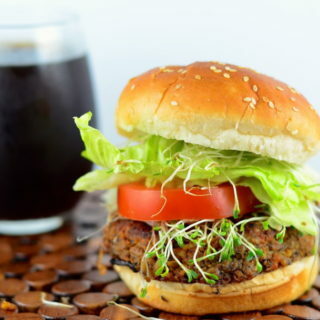 A few weeks ago, we wrote about what we called a “moral dilemma” we had, regarding someone posting other bloggers’ recipes on their website without asking for permission (you can read all about it here). We really appreciate all the comments and emails we received. Your input definitely helped us decide how to handle the situation. And since we haven’t really talked about it since our initial post, we just wanted to give you a quick update. As many of you suggested (and following our initial gut instinct), we ended up contacting as many of the bloggers involved as we could, letting them know what was going on. 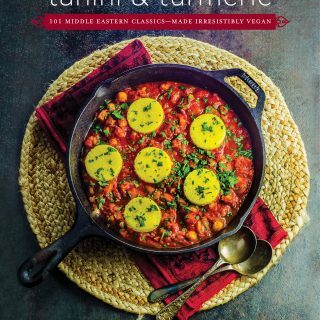 We sent them a direct link to the recipe we thought was being copied, and explained what had a happen to us. We only shared the name of the site with them, and never publicly. 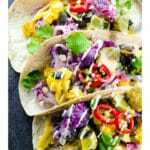 Filled with healthy, colorful veggies and topped with a rich, homemade cashew cream and Austrian pumpkin seeds (which are darker, crunchier and more flavorful than regular ones), these tacos will sure brighten up your day, you plate and your palate. And here’s a cool fact about purple cauliflower: once it’s cooked, it loses its bright, beautiful purple color and becomes kind of graying looking. 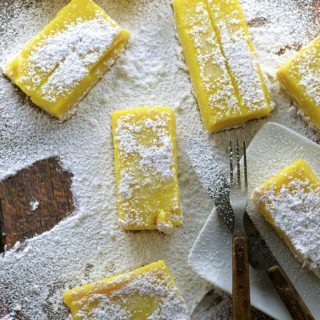 But by squeezing some fresh lemon juice on top, the color will not only come back, but some fuchsia tones will also appear in like a tie-dye pattern. Pretty neat, uh? Right before serving, spread cashew cream on each tortilla. 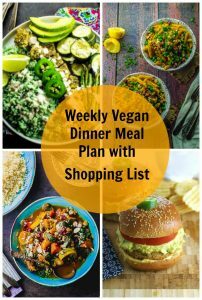 Fill it with the desired amount of cauliflower, avocado, pumpkin seeds and cilantro. 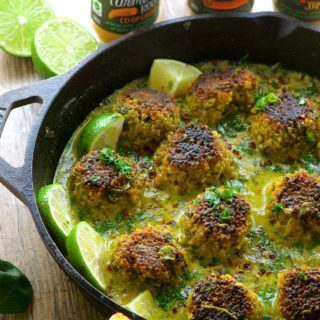 Drizzle more cashew cream and squeeze more lime is desired. 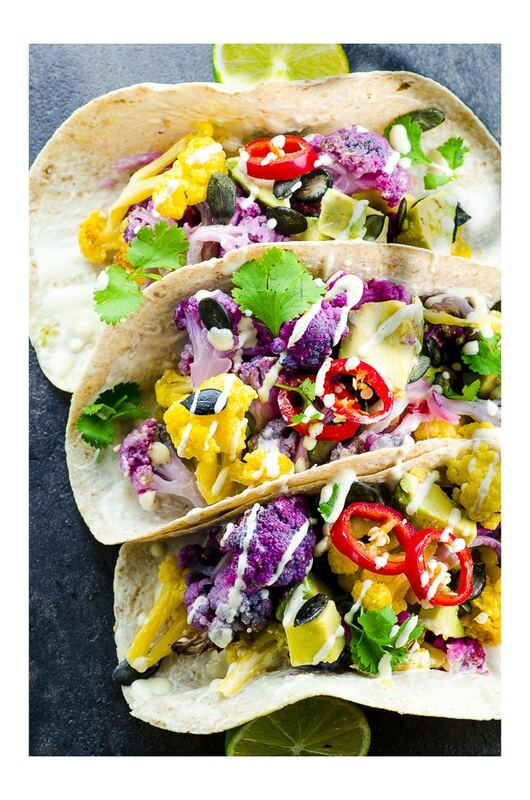 These healthy Roasted Yellow and Purple Cauliflower Tacos topped with cashew cream are good for you and absolutely stunning. 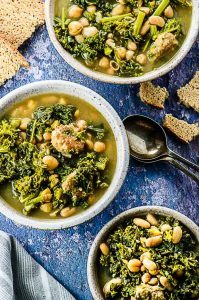 Like a bright rainbow on a plate! 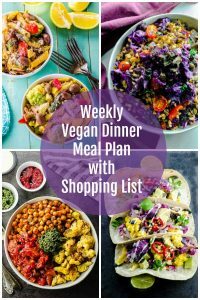 « 5 Easy Vegan Dinners To Make Next Week Plus Your Shopping List! Wow! 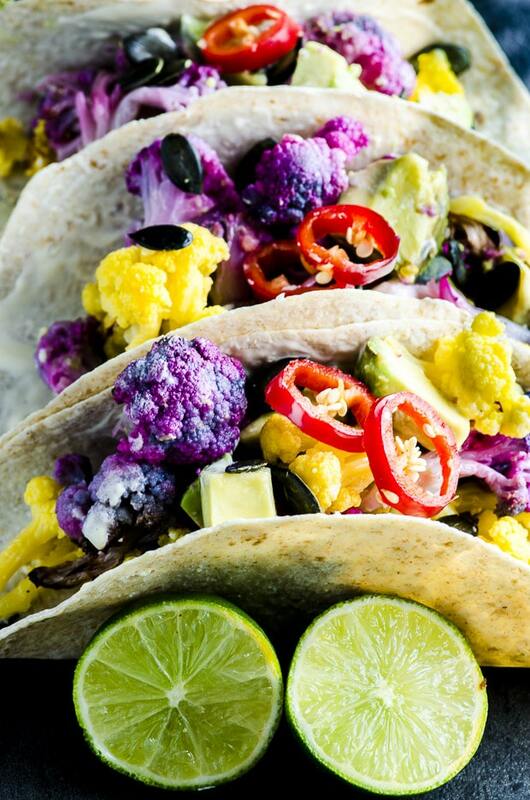 these tacos look amazing, beautiful colors. 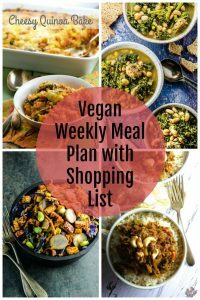 Love the cashew cream. I am new at discovering all that you can make with cashews, but I am impressed so far. These are so bright and beautiful! They’re almost, almost being the key word, too pretty to eat. I bet they’re delicious.